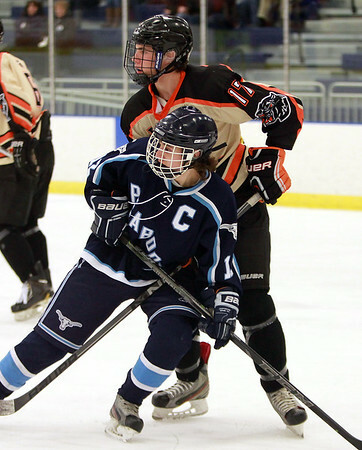 Beverly defenseman Luke Samperi jostles for position with Peabody captain Jason Marshall (12). DAVID LE/Staff photo. 1/17/15.